Great review. I felt exactly the same way about Barbra Streisand’s album, i.e. that it was so typical of a later in life performer to make duets album in order to broaden the albums reach (and sales). 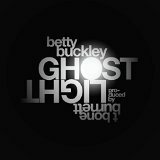 Betty Buckley has never needed those gimmicks–she’s just extraordinary, as is Ghostlight. Thanks Sally. I have nothing but admiration for Streisand’s artistry but there’s just no innovation in a bunch of safe duets. As you say, Betty Buckley knows no such constraints. Very interesting post! I enjoyed her performance in “Dear World ” here in London, even though I didn’t totally agree with her interpretation. I’d love to see her in cabaret. Thanks Fiona. I still vividly remember her Stars and the Moon one-woman show at the Donmar – can’t believe it’s 15 years ago! I don’t know if any cabaret is in the pipeline but she has just arrived in London for the Follies concert performances at the Albert Hall on 28th April – really looking forward to that!